The Trillist Cos., Inc. has partnered with YOO Studio to design and brand Yoo at Metropica, the first of eight residential condominium towers at the 65-acre, mixed-use development in Sunrise that will ultimately include 2,250 residential units. The 28-story building, at 2000 Metropica Way, will have 263 units, consisting of 253 one-, two- and three-bedrooms ranging from 740 to 1,379 square feet; and 10 penthouses averaging 1,900 square feet. Units will feature open floor plans with floor-to-ceiling windows, spacious terraces, European-style cabinetry with quartz countertops and Hansgrohe plumbing fixtures. Building amenities include a resort-style pool and cabanas, fitness center, tennis courts, clubroom, theater and concierge. 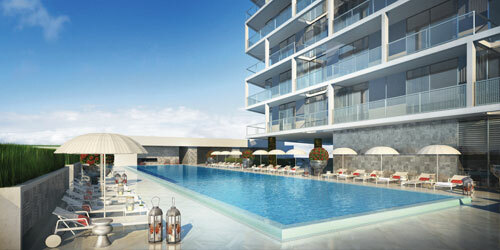 Prices start in the mid-$200,000s for traditional units and mid-$800,000s for the penthouses. Groundbreaking is expected in the first quarter of 2015, with completion scheduled for late 2016. 844-248-1800, livemetropica.com.